It began with the martial arts and ended with a new reading of Buddhist history. Apologies if this is too philosophical for some. As a young Karateka, I learned the Zen way to eliminate fear of death and pain. These things are still useful, though not totally effective re pain. To this day, the ethics of Buddhism are still with me, though contradicting some deeply turbulent parts of my nature. I try to confine those to my writing. For the last 15 years I have been part of Sangas, aka Buddhist study groups, in New York, The UK and Costa Rica. Meditation enabled me to overcome hatred of 'enemies'. Metta or loving kindness meditation really works. Look it up and try it. For a while, feeling part of the universe rather than a seperate being has fitted well with my weltanschauung. Buddhist logic, that allows things to be and not to be simultaneously fits with Quantum Theory. The concept of Karma, that all actions have consequences fits well with my increasing belief in scientific determinism, though the corollery of this to conclude that we have no free will goes against the teachings. The Buddhists tendency to insist that, though we have no separate identity or transmutable soul, we can achieve some vague state of Nirvana or be reincarnated again till we do always seemed contradictary. As in many belief systems, they have a neat out, in that the Buddha allegedly claimed that devotees are free to discover their own understanding. This kept me hooked for a while. Focussing on our inner selves and especially the monkish tendency to go off, live on the charity of others, build temples and meditate raised concerns. That seems to contradict the idea that we are part of everything. It is sponging and deprives others of food and funds that could be better used. A nagging concern was the obsession with suffering and death. They have always seemed just natural parts of life to me. Focussing on joy, fun and happiness is more my nature. To jump to the end, I read the history of Buddhism and studied eastern and other religions on a comparative basis over many years. The plethora of Buddhist sects, myths and superstitions was fascinating and partly due to the beliefs incorporating local lore as it spread around the world. The other causes of schism and diversity were new thinkers, developing further or different insights. Ritual and flummery have never appealed to me. There is much of that in most Buddhist sects. I accepted it as a need of others in the sanga. 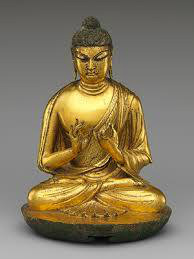 Then, seeking to explore why so much had gone away from the original teachings, I read another history of Buddhism. My teachers and previous reading had explained that though the Buddha lived some hundreds of years before he was written up, oral repetitions preserved and offered some proof of his existence and passed on the true word. This always seemed doubtful, as spin, exaggeration and misinterpretation dog even still living public figures. The stories of Prester John, Robin Hood and the creation myths of various religions all seem spurious. This is due to centuries of oral rendering, the pre scientific mind and a dash of later interpretation. My latest reading blew away the idea that the life of the putative Buddha was written within a couple of hundred years of his death. The stories were drawn together only in the last couple of hundred years, though texts in Pali and Sanskrit, neither language which existed 2,500 years ago, are ancient. So where does that leave my thinking? I learned a lot. I still save insects, snakes and other beasties. Much of the original attraction of the core way of life remains. There will be no more studying Asian practices and beliefs. They are less relevant to modern life in the West. I feel less guilty about focussing more on joy, happiness and yes hedonism.